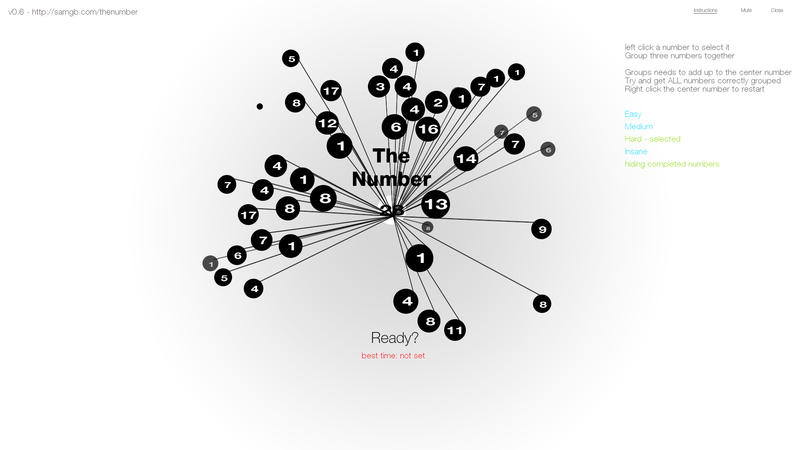 The number is an educational puzzle game where you quickly group numbers together. Play to improve your basic math skills, unlocking features (coming soon!) and creating new high scores. I would like to bring this game to tablets and phones in the near future, follow me on Twitter for updates. The Number is still in beta - find a bug? Send me an message - I'll list you as a tester.